The short flight, lasting a bit more than an hour, flew east over Samaria and then turned south over the Dead Sea. It then turned north, flying over the desert until it banked west over Jerusalem and back to Ben-Gurion International Airport. (March 31, 2019 / JNS) El Al’s new Boeing 787 Dreamliner, named “Rehovot,” is a beauty to look at with its “new” retro look. Each time the airline receives a new plane, it takes it for a short inaugural flight. 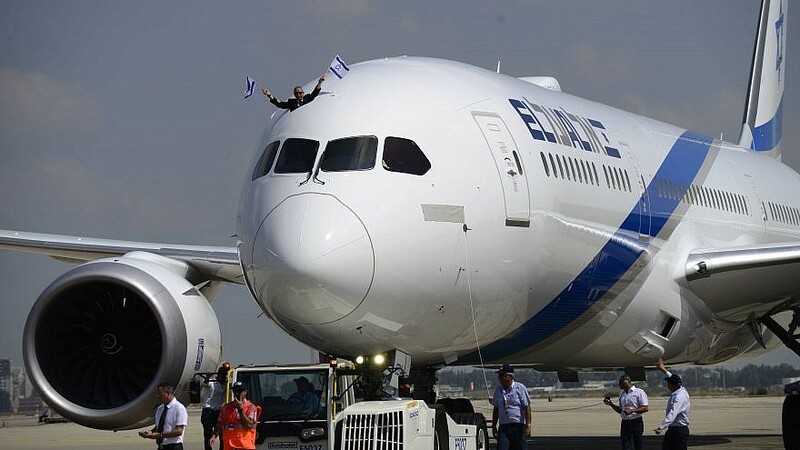 This time, El AL decided to do something a little different: It hosted 180 children and their families from the Krembo Wings youth movement and the “Special Olympics Israel” organization from Herzliya for an experiential flight. Krembo Wings (Knafayim Shel Krembo in Hebrew) is a youth movement for people with or without special needs. The movement has 70 branches throughout the country and more than 6,000 activists from all sectors of Israeli society. The wide spectrum of disabilities and degrees of severity include issues with communication, sensory, cognitive, physical and other disabilities. The movement was internationally recognized by the United Nations, which gave it the status of special adviser on integration and inclusion. The organization works with the belief that all children, regardless of ability, origin, religion or gender, have a common need for social belonging, and that every child deserves to enjoy being among friends. It facilitates this by offering social, educational and informal activities once a week in the afternoon in a personal mentoring model as part of a group setting. Most of the mentors are youth from public schools. These joint activities contribute to increased awareness of special populations and social accessibility. Thirty children from the Special Olympics—the world’s largest organization for cross-sport for people with developmental disabilities—and their families also joined the flight. Just a few days ago, the organization’s athletic team returned from the Olympic Games in the cities of Abu Dhabi and Dubai in the United Arab Emirates, decorated with 22 medals and trophies, an unprecedented achievement and a source of pride for Israel. The children were ecstatic, each receiving a bag of goodies during the flight, and they appeared to thoroughly enjoy flying over the country on a new airplane together with their friends and mentors.